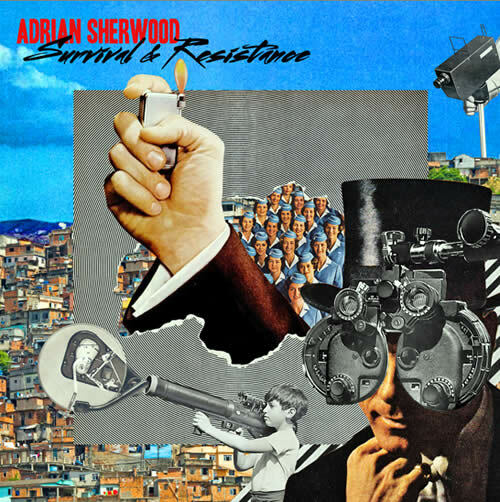 Reviews – Stratus, Adrian Sherwood. 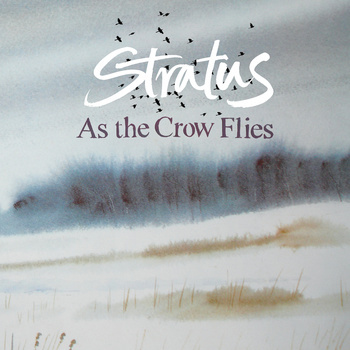 With a fairly anonymous (certainly not attention grabbing) name, album title and artwork it would be far too easy to go past the sophomore shot from Stratus… that would be a mistake. There’s something a bit special about As The Crow Flies, which really reveals after a few plays, and lifts it above what I’d heard of their gear before. That shouldn’t really come as a surprise as one half of Stratus is Martin Jenkins whose excellent industrialesque synth excursions as Pye Corner Audio have found much favour round these gates. However when he pairs up with Mat Anthony it’s quite a different buzz, heavy on the soundtrack flavours, cinematic styles, psych soaks and library lattitudes, but with a really individual sound, and enough smarts to avoid the usual pitfalls. Sonically rich and sumptuously detailed, this is an album you just need to show some faith in, and invest some time with – especially as I fear any further description might make it sound like some trip hop downbeat throwback, when it really is a whole heap more than that. Track titles like Vannier’s Lament (referencing Serge Gainsbourg’s genius arranger and stringologist naturellement) and Abandoned Village should give a clue that you’re not far from the zones of rarefied air that Belbury Poly and their ilk frolic in – that and mucho mas. Reasonable price on bandcamp too so don’t be shy. Really shouldn’t need to say too much about this, beyond the fact that it’s the don man himself, fresh off the back of some righteous 30th Anniversary celebration and releaseration, and furthermore it’s my pick of his solo albums thus far. As you might expect the 10 tracks lean heavily on potent minor chord melodies and moody atmospheres – an area Sherwood has claimed as his own over the last three decades or so. Amongst the many highlights Two Semitones And A Raver has some kind of super magnetic appeal thing going on that just lures you in inescapably, Last Queen Of England delightfully harks back to when Bovell and co. were pushing the humble harp as a dubwise implement and Starship Bahia has such freakishly timeless qualities that someone should inform Fringe Division about it. What with the results of a handsome rider, and just about knocking myself out stepping off the platform/stage at the Powerstation before my set had even started, I can’t actually remember if Adrian dropped any of these gems last December, but what a scorcher of an evening that was. As ever, I digress, the basic message is – THIS IS A MUST. If you need some further persuasion have a shufty at the session Sherwood recently did with Andrew Weatherall playing some of his favourites on Radio 6 – lovely vibes from both gents (both of whom have guested on Stinky Grooves I’m fortunate enough to say) and every tune is straight out moideration. Mixcloud below or I heard there was a sneaky download over there.